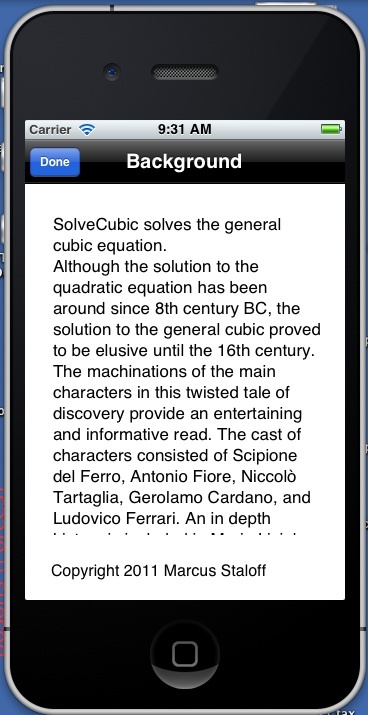 SolveCubic is a utility app for the solution of the general cubic equation. Although the solution to the quadratic equation has been around since 8th century BC, the solution to the general cubic proved to be elusive until the 16th century. The machinations of the main characters in this twisted tale of discovery provide an entertaining and informative read. The cast of characters consisted of Scipione del Ferro, Antonio Fiore, Niccolo Tartaglia, Gerolamo Cardano, and Ludovico Ferrari. An in depth history is included in the Mario Livio book The Equation That Could not Be Solved. 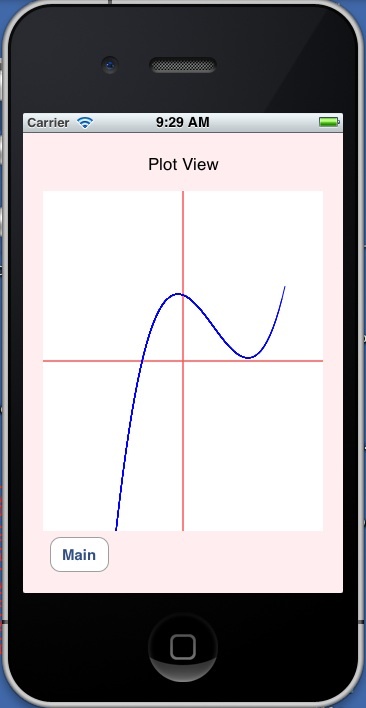 The titular equation is not the cubic but the quintic. The quadratic formula is virtually universally known, or at least known of, and is compact and easily used. By comparison the cubic is not reducible to a simple form. Consequently it is most readily dealt with in algorithmic form. It is noted that the general case has at least one real root. 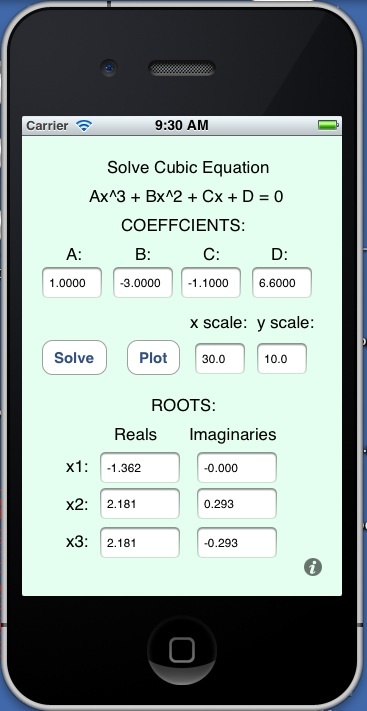 If the other two roots are complex they will not show on the two dimensional plot. For all three roots real, the zero crossings will appear.